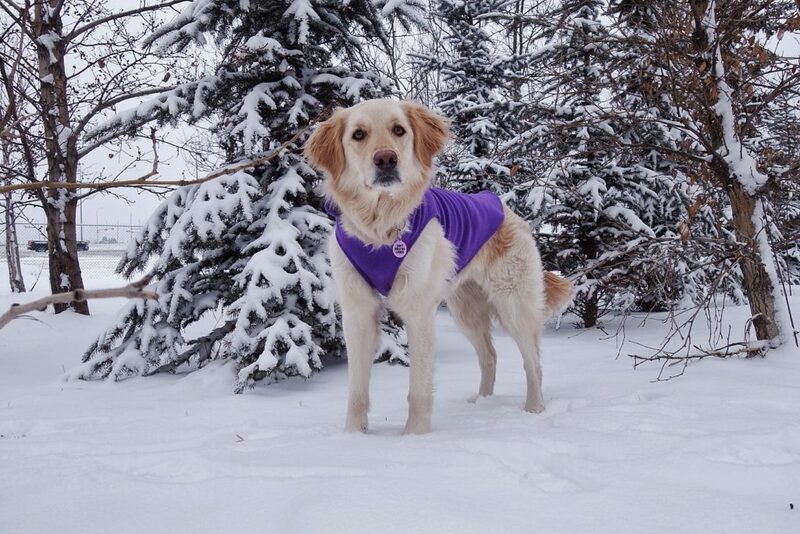 Cute and cozy is how I would describe the RC Pets Baseline Fleece that Emma tested for Dogs That Hike. 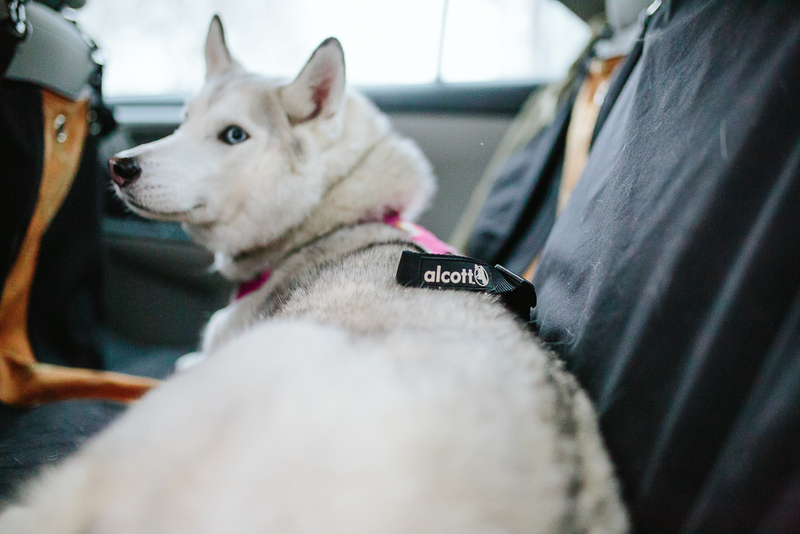 We used it on off leash hikes and walks, in mild Alberta spring temperatures (-5C/23F to 5C/41F), in snow/wet conditions, and under a Hurtta Slush Combat Suit. I have to admit at first glance I only saw a basic fleece sweater with no bells and whistles but the more I use it the more I love it, and with the lower cost it makes an affordable addition to your outdoor adventures. The simple design of the sweater actually has a lot of function. It is an anti-pill fleece material and it covers the entire ribcage and the dorsal spine which aids in keeping her core temperature comfortable. 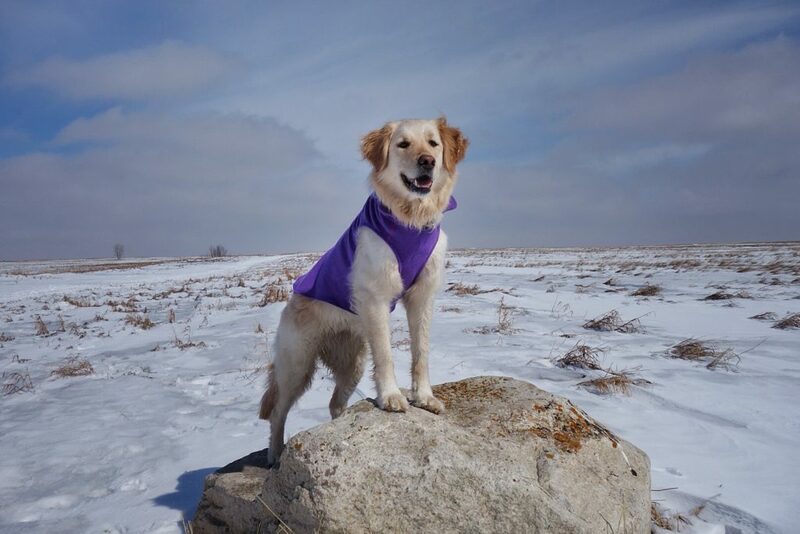 The 4 way super stretchy feature of the pull over fleece is my favorite part, my body sensitive dog does not mind wearing this sweater, and she can move normally and with ease. 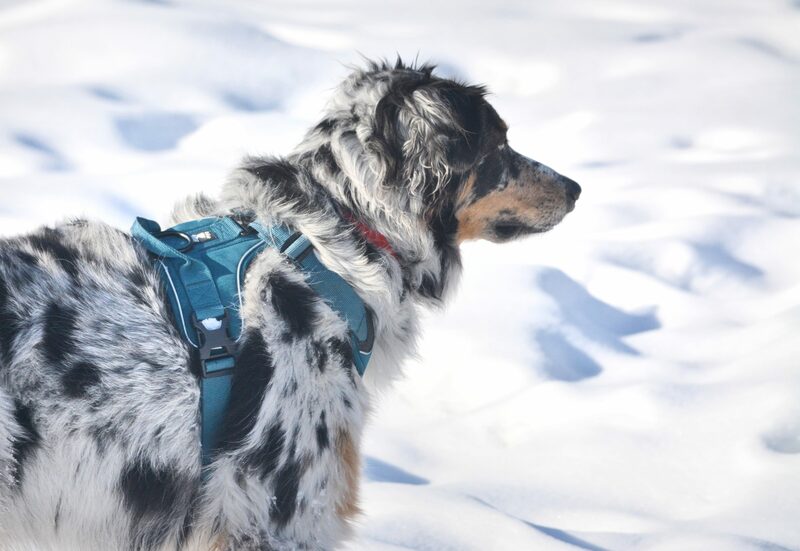 There is a reinforced hole over where you would attach a lead to your dog and it seems to be located between the harness and the collar rings. My guess is it is located here so you could choose either location, but in our case it was easier to attach to a harness. The fleece sweater can easily be worn under or over a harness because it is so soft and stretchy that it shouldn’t chafe skin or impede movement. Another bonus feature which everyone can agree is awesome is that the sweater is machine washable, and it hang dries very quickly. There is also a small reflective label on the backside of the collar but I did not find it big enough or in a visible location to notice it, so I would not consider this a main feature. The visual appeal is really cute to us and the 5 colors are fun and eye catching. 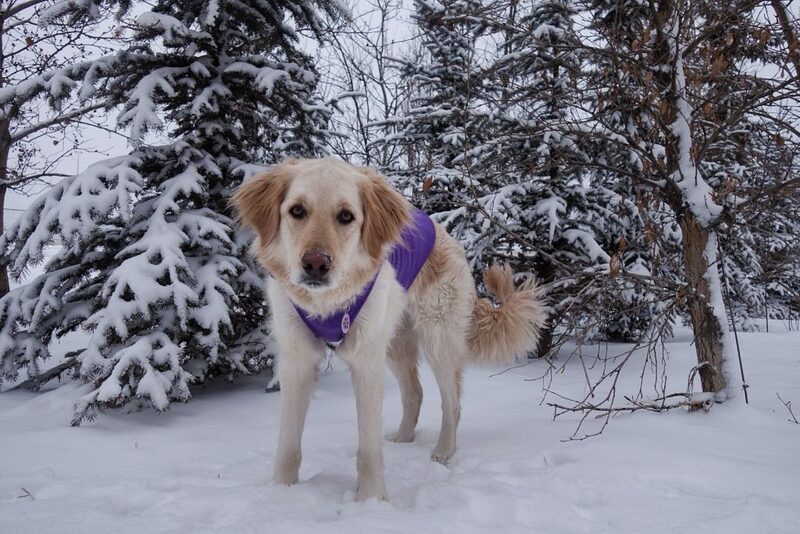 We have the purple with pink accents and it is a very pretty color on my blond retriever cross. The fleece fit Emma perfectly and I believe it would fit 90% of dog body types, the only exceptions I can imagine is if your pup has a very broad chest (like a Bulldog) because the piece between the front legs is slightly narrow. Or if your dog has a long but narrow torso (like a Dachshund) the fleece would either not be long enough, or the girth may be too big and drag. On Emma, who has a very average body type the fleece was comfortably snug, not too tight and not too droopy, but just right. The fleece itself is so soft which I imagine short coated dogs would love as it is doesn’t feel abrasive against the skin. The quality of the sweater is fantastic considering how inexpensive it is and I am very pleased with how it has held up to our use and the machine washes. It does recommend a gentle wash cycle but in a mesh bag I have been washing it in the regular wash, and removing it promptly to dry flat. The sweater has no pilling and has not shrunk at all or become miss-shaped. There are no pulled threads and the edges are sewn so that they don’t seem to roll up. The leash attachment access hole has rubber reinforcing the hole so I can’t imagine that area would be damaged easily. 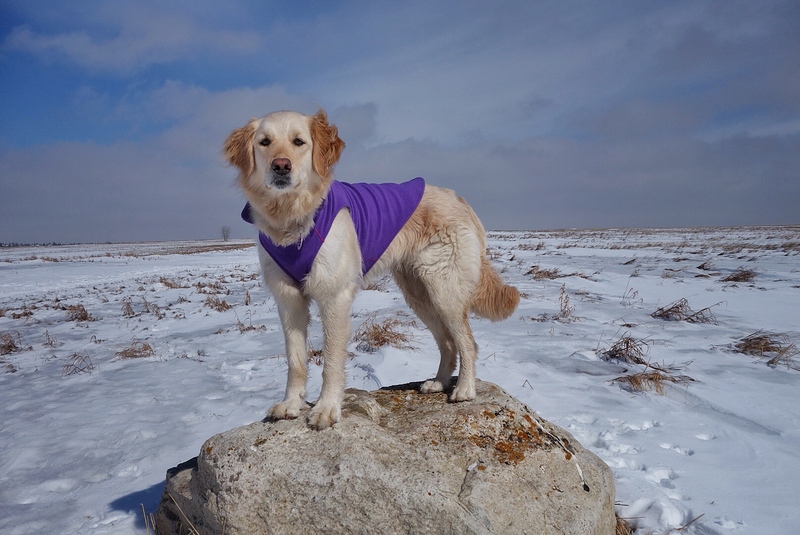 We will be using this fleece sweater in the future for two main purposes; to use as a base layer under a raincoat, and for use around the campsite during cooler temperatures to keep Emma warm while resting. 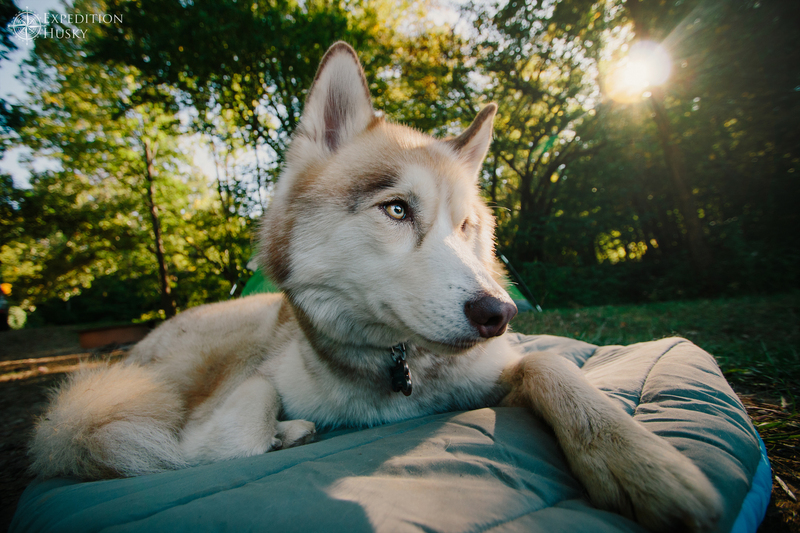 It also could be used as an all-purpose light spring jacket for short coated breeds, or as a base layer under any jacket to increase warmth. Due to the versatility, quality and low price of this jacket I would not hesitate recommending it to friends. I’m glad we got to test this as it really opened my mind to a product that I would not normally take notice of but have found that I have a lot of use for!